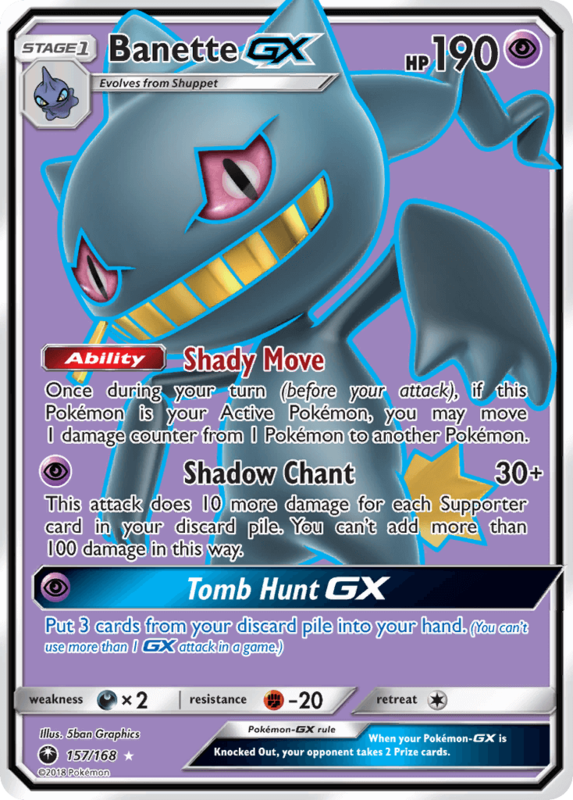 Once during your turn (before your attack), if this Pokémon is your Active Pokémon, you may move 1 damage counter from 1 Pokémon to another Pokémon. This attack does 10 more damage for each Supporter card in your discard pile. You can’t add more than 100 damage in this way.